Regarded as one of the eminent manufacturers and suppliers in Jinjiang of China, we bring forth for our esteemed clients a wide array of rubber outsole mould. We have ten years of sport shoe mould making experience. Manufactured using superior quality raw material and with the aid of sophisticated machinery, this range of outsole mold complies with the international quality standards and parameters. Machine: The rubber outsole mould is suitable for rubber compression moulding machine from Taiwan, Italy, China-mainland, and more. 1. We use high performance production facilities to assure our product quality. We have 45 sets of CNC machines, and 4 sets of computer design rooms for our rubber outsole mould. Meanwhile, we have three-dimensional scanner from Germany, three-dimensional moldings machine from the USA, testing machine, highly advanced production workshops and technologies, and more to help use make superior quality rubber outsole moulds. 2. Over 700 of our employees are families and partners within the Xieli Mould Company. Cycling between two working shifts for highly effective operations, we can fully guarantee the timeliness of outgoing shipments. 3. We use the best quality iron material in China for the mold making. This allows us to achieve the goal of making high quality iron moulds for worldwide customers. 4. We have a huge sample room for rubber outsole mould. All the sample shoes come from the whole world and all over China mainland. We can constantly make improvement and upgrade our mold styles, so as to allow our clients to make more types of shoes. 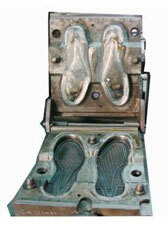 Xieli is the unique Chinese manufacturer using iron for rubber outsole mould making in the industry. We at Xieli use the innovative four-axis processing technique and precise-engraving molding craft, rather than the foundry molding technique, for our shoe sole mold making. Meanwhile, we use scientific management system and implement ISO9001:2000 international quality management system standard, to make sure we are in line with international standards and to ensure our continuous growth. 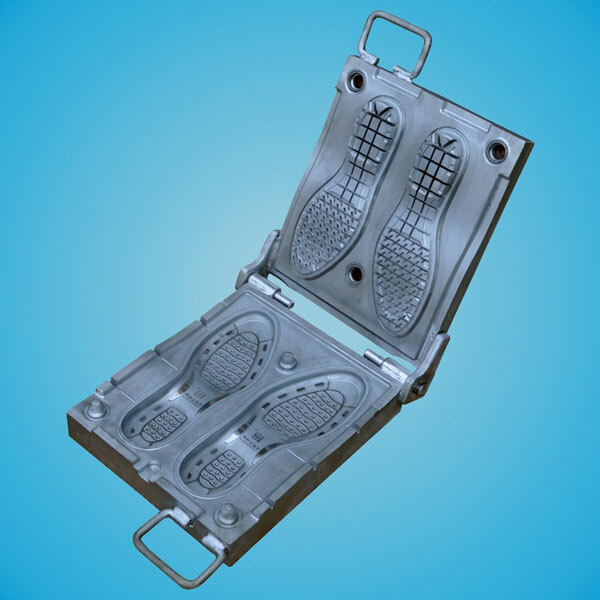 Since our foundation in 2002, we have been specialized in the design, development and manufacture of high quality shoe mold, rubber outsole mould, and more. 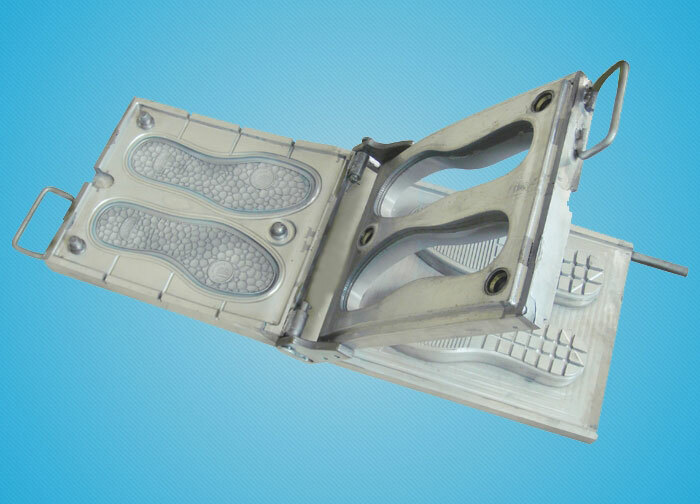 Over a decade growth, we have become one of the biggest shoe and shoe sole mold making factories in Jinjiang, China. We are highly appreciated by our clients, and we can offer thoughtful customer service, full range of product design, as well as products with high quality and reasonable price. Xieli is located in Sucuo Industrial Zone in Jinjiang City. The location comes with easy access to railway station and airport. To illustrate, our company is only 20 minutes away from the railway station, and 7 minutes away from Jinjiang airport. Meanwhile, it is only 40 minutes away from Xiamen city. The hotels and restaurants around our company make sure it is convenient for our customers to pay a visit to our factory. Jinjiang City is called as the Shoe Capital of China. Many shoe making machine and shoe making material factories are located here. This allows us to establish close relationship with them, thus enabling them to purchase perfect rubber outsole moulds and also allow us to make improvement on our products according to their feedbacks. 4. We have a team of after-sales service personnel to offer thoughtful services. 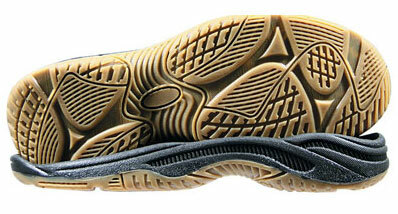 Our company is a professional rubber outsole mould manufacturer and supplier in China. We also provide PVC air blowing shoe mould, TPR sole mold, EVA injection shoe mould, crystal shoe mold, and much more.